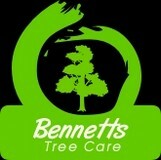 Bennetts Tree Care Ltd - Fencing/Gates, Tree Surgeon based in Sindlesham, Berkshire. Bennetts Tree Care Ltd are a professional tree surgeons who provide a comprehensive tree surgery services to domestic and commercial clients. All our operatives are fully qualified & insured so you can be sure all work undertaken will be to the highest of standards. We are based in Wokingham Berkshire. We regularly work with clients in other local areas and other areas across the country. Trained to BS3998 British Standards arboricultural work.